Recently, a mobile game - World of Tanks Blitz launched on Windows 10! Lots of mobile games have arrived or will arrive on Windows 10. Players can now play them on Windows 10 PC/laptop/mobile/tablet. Some of them may geo-blocked, need use VPN to unlock. This guide will take you each step of setting up a VPN on your Windows 10 device. Use a free VPN trail accounts listed on FlyVPN's website. Register a VPN account. Take advantage of their free VPN trial programs (http://bit.ly/1J2yX0z, http://bit.ly/1QKvMNg) to get more free days. I have got about one year membership for free through the invitation code program. Subscribe their premium account during this Christmas VPN sale season. 1. Download a free VPN Client. 2. Enter the VPN account. 3. Choose "auto" as VPN protocol. Tick "Enable IPSec for L2TP". 4. Connect to the server you need. 1. Click Start button in the bottom left corner of the screen, under the Places section, click Settings. 2. 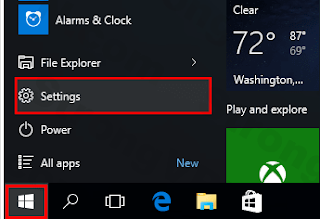 On the open Settings window, click the Network & Internet entry. 3. Select "VPN" from the left column. Click Add a VPN connection on the right side of the screen. Connection name: It doesn't matter what you name it, but something descriptive is always best. The steps for Layer 2 Tunneling Protocol with IPSec (L2TP/IPSec) are very similar, and you should have no trouble following along. The User name and Password fields are optional. This means each time you connect to your VPN service, you’ll be prompted to enter your username and password instead of having that information saved. That's up to you. 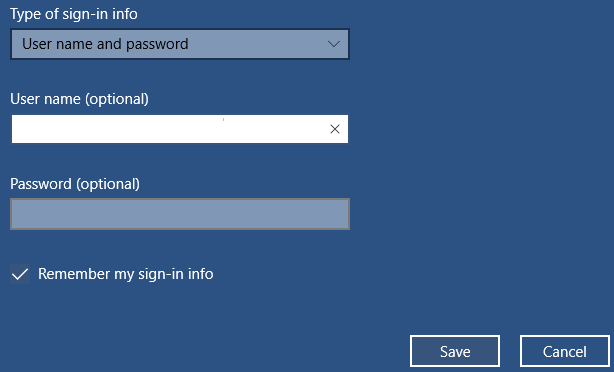 You can let the system save the user name, but not save the password. Tick "Remember my sign-in info" and click on Save. 6. 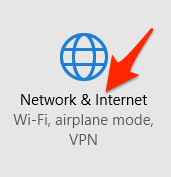 Once the new VPN connection is successfully created, back on the Network & Internet window, select VPN category, click the newly created VPN connection from the right. Click the Connect button. It will connect after a while and show you "Connected" status. You should also be able to monitor your VPN connection status from the Network icon on your taskbar. 7. Click the "Disconnect" button when you don't want to use your VPN. 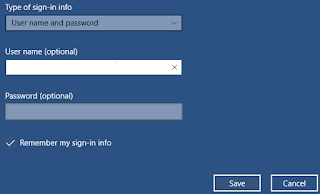 You can click the Advanced settings option to manage other VPN connection related configurations such as proxy settings, automatic detection, etc. 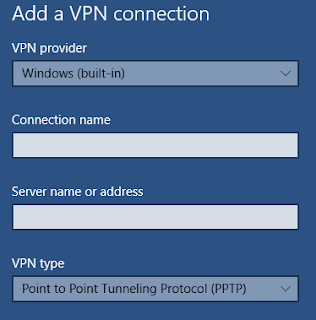 Quite an informative post on vpn for windows 10. I am looking forward to buy best vpn for China and searching online for same. Came across different service providers and planning to buy a fast and reliable service offering unlimited bandwidth. Last we I was looking for best Windows VPN so I google it and I found many and I read about their features and their review I found one for my personal use at affordable price.